Although no animal can take the place of your pet, by volunteering at animal shelters you will discover that there is much to gain by helping out. There are about 5 to 7 million animals that enter shelters each year. It is a great feeling to do your part and help them in any way you can. The animals in the shelters won’t care that you aren’t ready to adopt them; all they know is that someone cares for them on a daily basis. These animals have often been abandoned and abused and they truly deserved some love and affection in their lives. I guarantee you will fulfill the emptiness and sadness in your heart, and the happiness you bring to these animals will rub off on you. For many of us, finding free time is one of the biggest struggles in our lives and for many of us devoting several hours to volunteer is simply impossible, but if you are willing to give it a try, there is most likely something that you can do. Dogs need exercise, but the staff at most animal shelters are unable to provide all the attention and exercise that most animals need on a regular basis. Volunteers who are willing to walk and exercise dogs will be extremely appreciated, both by the staff and by the animals. If it’s too soon to bring a new pet into your life, but you really miss the human-animal connection, sign up at your local shelter and commit to visits a couple of times a week to spend time with the animals. The animals need to connect with humans that can show them love and affection, as well as help them to heal their scars from their pasts. Helping the animals to reconnect and build new relations with humans may be the best medicine for your emotional health. At the end, you may receive more than you give. It takes all kinds of people with many different skills to run and maintain a shelter. If you cannot commit to a regular shelter visit, but you are are the hands-on type and willing to help, consider offering your construction or handyman skills to the shelter staff. You never know what could be standing in the way of offering better care to the animals. By offering you labor, projects that otherwise may be put on hold, could be completed and improve the animals life and the staff work environment. If you are skilled as a writer, start a newsletter or contribute to an existing newsletter. All shelters and rescue groups are always looking for someone who can write their blogs and publish them on their web page or social media sites. Highlight individual animals in need of homes, or give your own ideas about how volunteers can enlist in the care of these future friends. This task can be done from the comfort of your own home, at your own convenience, and you will contribute tremendously by exposing all of the great things that are happening at the shelter to the public. A lot of people decide to adopt by seeing the animals on social media and reading their stories. By helping out, you can help more of the animals to find their forever homes. One of the biggest obstacles to pet adoption is their behavior. If pets have some kind of obedience training and listen to the basic commands, they are more likely to be adopted. An excellent way to make a difference is to assist with obedience school. You can help with teaching pets to follow simple commands, socialize them with other pets and the outside world, and become calm non-destructive pets. Pets in the shelters are fed at certain times during the day, usually twice a day. Help with this task saves the staff a lot of time. To feed each pet individually takes a lot of time, especially in larger shelters. It will be a great way to make friends with both the shelter animals and the staff. 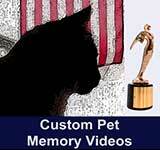 Here’s another great way to help out while coping with losing a pet. Since many shelters are primarily run by volunteers, building an online presence is often put on a back burner due to the lack of help and other priorities that arise. If you aren’t able to physically offer your support to these animals, your work to build their online presence and draw community attention to animals in need will be extremely valuable. No matter how much time you have to devote to helping animals in need, remember that your efforts will be greatly appreciated by the staff. Whether working on a weekly basis or every now and then, you will contribute tremendously to saving and changing the lives of animals. Just because you may not be ready to take a new pet home, it doesn’t mean that you should let yourself drag through your everyday life grieving. Rather than just waiting for time to heal your pain, you can do something about it. Making a difference in the lives of others will help you heal and bring you a great joy of accomplishment. Remember, giving gives you more internal joy than receiving. This article was written by Mira Alicki, a jewelry designer and goldsmith with over 22 years of experience. Her passion for animals led her to create her own line of jewelry and online store to benefit charities. 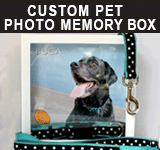 40% of each purchase is donated back to the animal community. You can find Mira on Twitter (@FIMHjewelry) or Forever In My Heart.